My family has certainly made great efforts toward maintaining healthier lifestyles. We have been much more conscious of both our diets and our activity levels--and we have seen great results in mood, weight management, energy levels, and overall health. One of my go-to tools that keeps me focused and motivated as we continue to make our lifestyle changes is the bathroom scale. A quality bathroom scale keeps us focused on changes and encouraged by results that we can both feel and quantify. 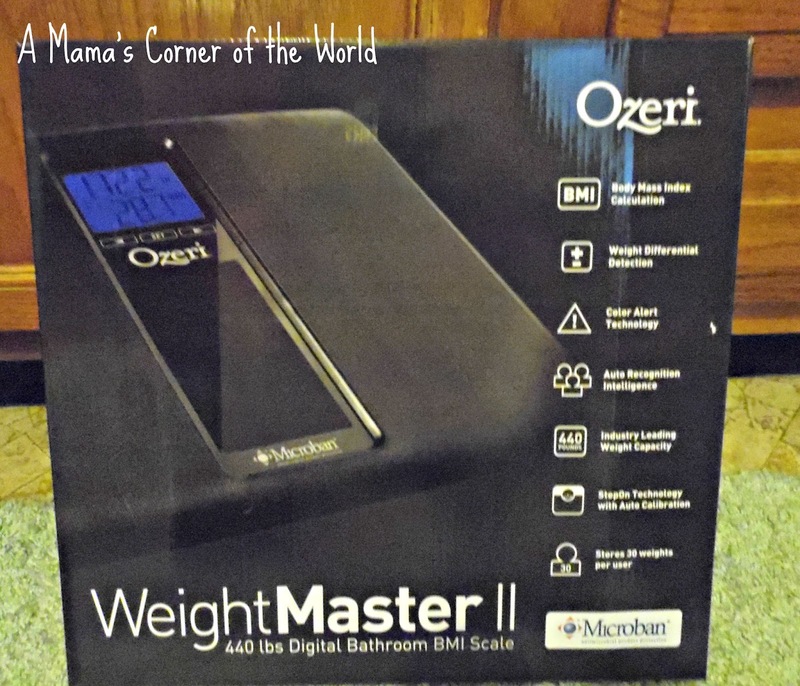 I recently received the Ozeri WeightMaster II Digital Bathroom Scale for our family to review. 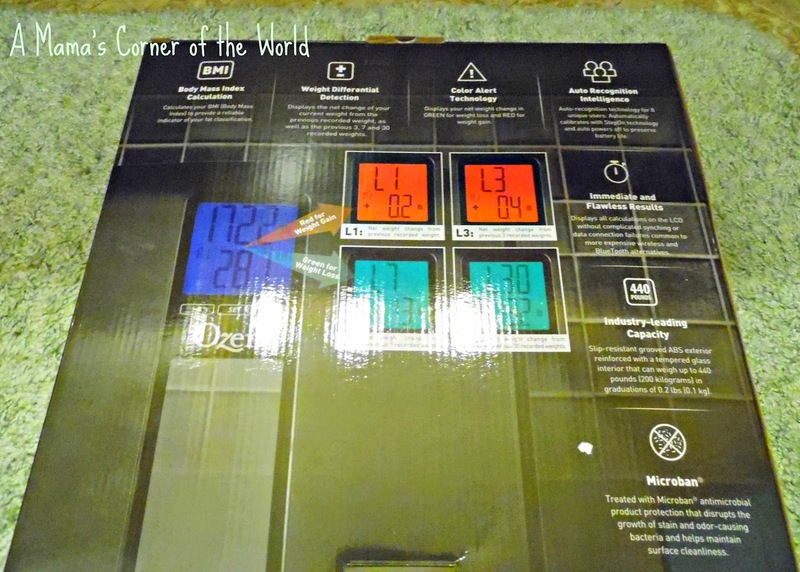 What did we think of the Ozeri WeightMaster II Digital Bathroom Scale? The Ozeri WeightMaster II Digital Bathroom Scale offers a lot of functionality with a modern look. I love the style and design of the Ozeri WeightMaster II scale. It's lightweight--but, sturdy enough to withstand frequent use. Note that there is a see-through panel in the center of the scale--so the flooring beneath the scale becomes part of the scale's design--but, that see-through design also helps the scale blend into the bathroom decor as well. While I like the scale's appearance--I really like its functionality. The Ozeri WeightMaster II Digital Bathroom Scale is programmable--and has auto-recognition software allowing it to recognize up to 8 users. My previous scale calculated BMI data for only two users. This unit measures weight, calculates Body Mass Index, BMI, and even tracks your net weight change over time. It stores data and can even tell (or remind) users of the average weight change over 30 days. The display also uses Color Alert Technology--green if the user is losing weight and red if a weight gain is detected over time. The scale operates automatically upon stepping on--without the need to turn on a specific user or fumble to find a power button. It automatically calibrates and returns your results quickly and accurately. The Ozeri WeightMaster II also offers a slip resistant surface, an easy to read LCD screen, and it is treated with Microban--an antimicrobial product that helps limit the growth of bacteria--a valuable feature in a "germy" bathroom! Would I recommend the Ozeri WeightMaster II Digital Bathroom Scale? I love the fact that it has the ability to track my family's weight progress for 30 days. It's a great way to focus on results and keep everyone on track in one spot. The scale measures quickly and accurately and it provides so much information in an instant. If you prefer more details than just a simple weight readout--and could benefit from a personal "weight tracker"--I think this scale is the perfect addition to your daily health and fitness routine. I have used it fairly diligently for a few weeks--and was a little disappointed this morning when I was greeted with a red, 1.5 pound weight gain notification when I hopped on the scale. It was a helpful nudge; however, toward a healthier breakfast choice--and a nudge that my old bathroom scale didn't offer! 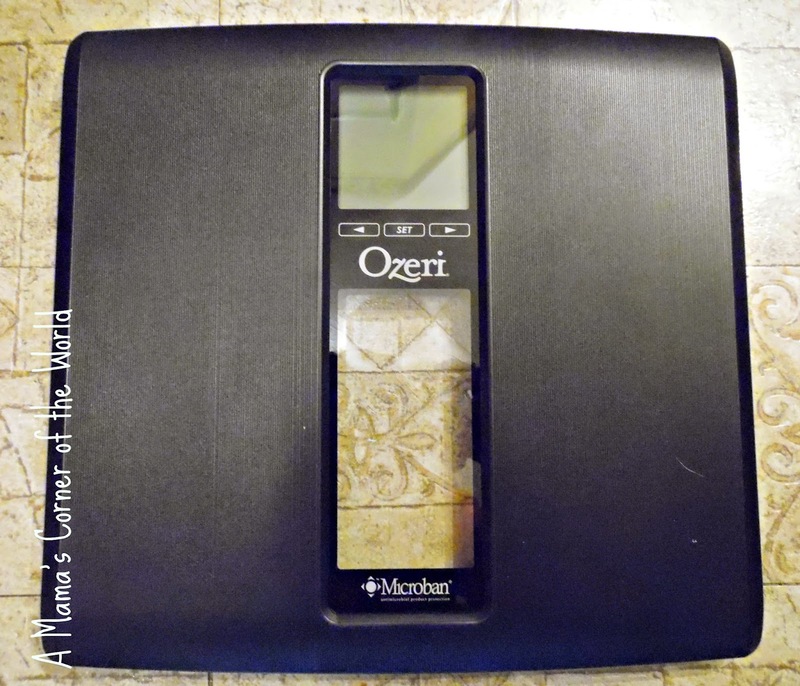 Learn more about the Ozeri brand and the Ozeri WeightMaster II Bathroom Scale. Disclosure: We received a complimentary product sample for use in our review. All opinions and experiences are our own.